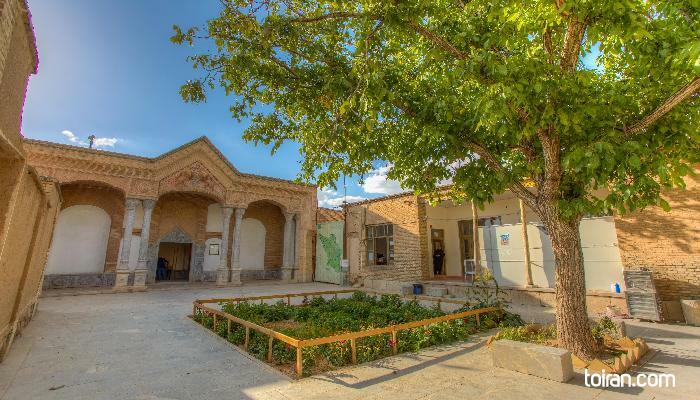 Located five kilometers from the city of Shahr-e Kord, Chaleshtar Historical Complex was built toward the end of the Qajar era (1785-1925) as the residence of a Bakhtiari chieftain named Khoda Rahm Khan. 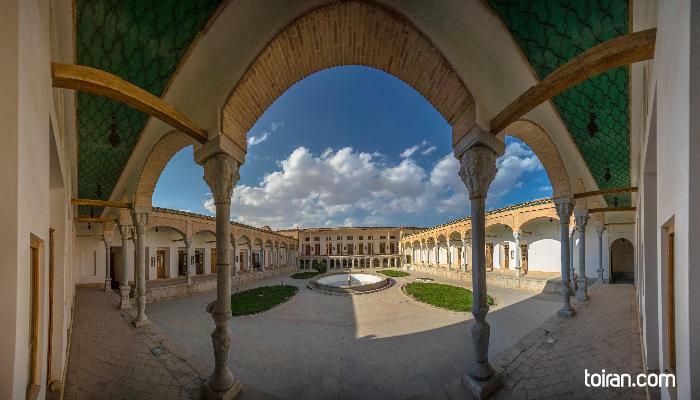 The structures in this complex have a combination of Qajar era and European architecture and include a stone façade, a Khan-neshin or khan’s quarters, an Andarouni (interior) also known as Sotoudeh Castle, a bathhouse, storage rooms and stables. The Khan-neshin, which is also known as the Khoda Rahm Khan Castle, has a balcony. Its decorations consist of mythical, floral, animal, bird and angel paintings and stone reliefs. The Khan-neshin has been the location of the Labor and Life museum since 2004 and displays items relevant to the nomadic way of life, farming and animal husbandry tools, clay oil lamps, paraffin lamps, and Chaleshtar locks. Sotoudeh Castle or the Andarouni, which was the private quarters used by women and servants, has a façade with 8 stone pillars with grape and geometric stone reliefs. The second story of this palace has 5 rooms. This part of the complex has “London-style” paintings, which was the term used to define the combination of Western and Iranian paintings popular in the Qajar era. 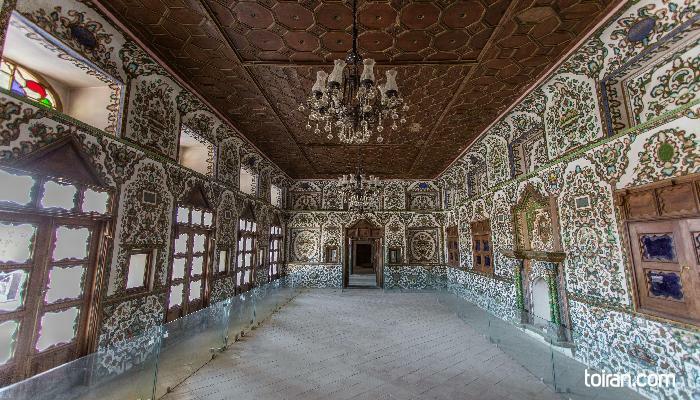 Painted scenes from the Layla and Majnun, and Joseph and Zuleika love stories, floral stucco reliefs and Quranic verse calligraphy have been used to adorn Sotoudeh Castel. Andarouni ceilings are covered in walnut wood panels. Doors and windows are made of walnut wood and have Girih patterns. A corridor connects the Khan-neshin, Andarouni and bathhouse. 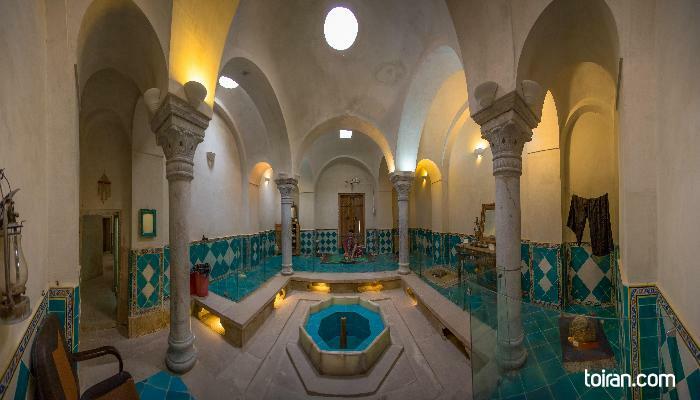 The bathhouse has turquoise and white tilework. There are two large stone pools (howz) in the courtyards of each castle. Chaleshtar Historical Complex was registered as a National Heritage Site in 2000.
thanks to our guide, we enjoyed this amazing house a lot.